‘Google AdWords’ has become something of a blanket term, with many nowadays using it to refer to all methods of Google paid advertising; but this is not actually the case. Whilst it is undoubtedly the most widely used – and the most profitable for Google – Google AdWords is in fact only one example of the paid search avenues available. Another popular paid advertising route is Google Shopping, which acts as the search engine’s answer to Amazon and eBay by allowing e-commerce platforms to display their wares directly onto the results page. There are, of course, other examples of Google paid advertising avenues, but AdWords and Shopping are two of the most recognisable and widely used. For the sake of clarity, from this point on we shall use ‘Google AdWords’ to refer to text ads; e.g. Google Text Ads are the ones that most search engine users are familiar with and there is no doubt that they can be very successful tools. In the past, Text Ads used to be found adjacent to the organic search results, so search engine users could see both paid and organic search results side-by-side. Relatively recently though, Google rearranged the layout of their search engine results page so that Paid Search ads were displayed above the organic results. This means that with a high enough budget it is possible for new sites, or those with relatively poor SEO, to be found ahead of pages with a high organic ranking. It is important to note though that paid AdWord ads have the ‘Ad’ marker next to them, and some people will automatically skip over these in favour of website that rank well organically. The above shows how much you could expect to be charged every time somebody clicks on an ad triggered by these keywords. Having said that, these are just approximations and the true cost will vary depending on how relevant Google believes a website to be. This may sound odd but, if you think about it, it makes a great deal of sense. It’s Google’s job to provide their customers with the most accurate search results possible, and no amount of money will convince it to present somebody with a website that is completely unrelated. This would damage their credibility. Google would rather charge less for a relevant website than more for a poor one, which is why the more relevant a site is perceived to be, the cheaper the price of the bid. This is actually where carrying out SEO will help with paid advertising, as it is only through SEO that Google can accurately determine a site’s relevancy. Google Shopping is different from AdWords in several regards, with the most obvious being its aesthetics and the most important being the way in which it is established. A Google AdWords campaign can be set up in a matter of moments, whereas a shopping campaign is considerably more time consuming and requires feeds to be set up through the Google Merchant Center. As stated above, Google Shopping is Google’s answer to Amazon, eBay and other similar third-party e-commerce platforms, as it allows internet users to quickly search for and buy products from various online retailers. When you set up a shopping campaign, you’re essentially asking Google to vouch for your service and products, and if they do not think a website is up to snuff then they simply will not allow a shopping campaign to go live. There will inevitably be some hoops to jump through in order to bring a website to a standard that they are pleased with, but it is undoubtedly worth it once campaigns are able to go live. A similarity shared by AdWords and Shopping is that an advert’s position is based on its perceived relevance and a monetary bid. 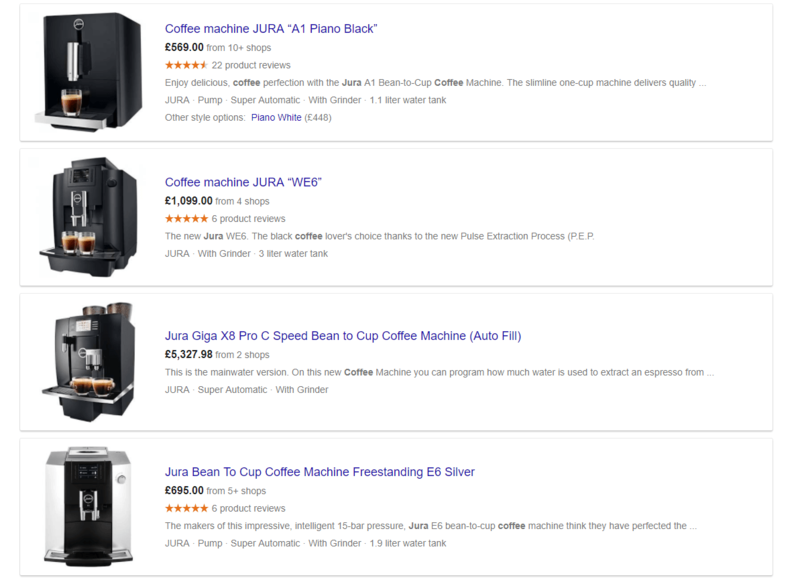 Bids can be adjusted manually in an attempt to present a product listing ahead of others, but Google uses the site’s SEO and other bits of information provided by an established feed to determine the terms that trigger the ads. It is an incredibly intuitive system and is a bonus for any e-commerce website to have. This is not to say that increased sales are assured, but it certainly increases the odds of your website being seen and a transaction taking place. 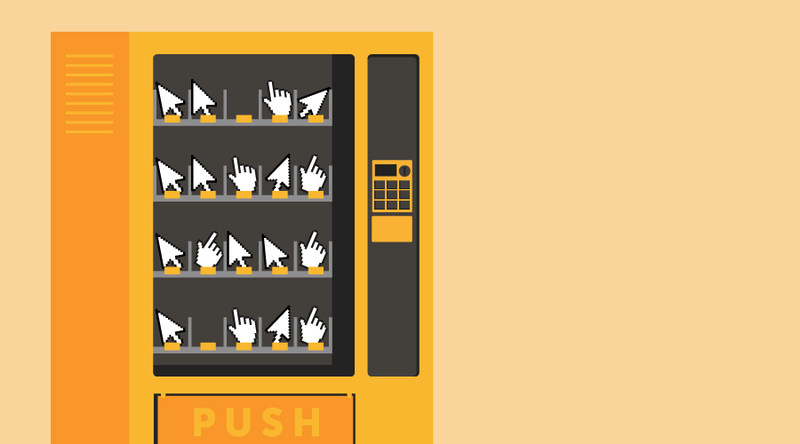 When talking about Google Shopping, AdWords and Display collectively or generally, most will use the term ‘PPC’, which stands for ‘Pay Per Click’. If you’d like to begin running your own Google PPC Ad campaigns but don’t quite know where to start, get in touch by emailing us at info@the-ruckus.co.uk or give us a call on 07955 – 922 – 764. 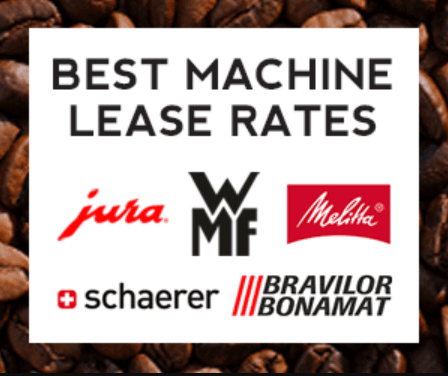 If on the other hand, you want the best machine lease rates on Jura, WMF, Melitta, Schaerer, or Bravilor Bonamat coffee machines, visit the Honest Coffees website. What’s The Difference Between Black Hat & White Hat SEO?